Sharena Wilkins has called Burleson home since she moved here in 1986 with her parents, Mark and Nelda Stucks and her two sisters, Kandace and Mandi. She has experienced the growth and change in Burleson first hand. Although she has not consistently resided in Burleson since she was married in 1995, she’s always considered it home and moved back with her husband, Matt and their four daughters over twelve years ago. Sharena assists in the daily operations of family owned businesses, Texas Eco Services, Inc. and SCM Containment, LLC., both owned by her parents. Sharena grew up in the business and has been afforded many life lessons and skills working with the Companies. Her mother, Nelda, the recipient of the ATHENA award in 2006, instilled the importance of Community involvement. 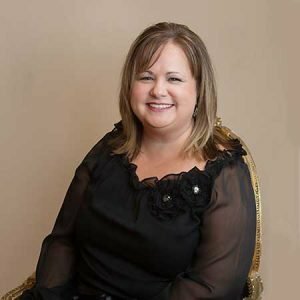 Sharena was recruited by Nelda to join the Burleson Making It Happen for Kids Foundation in 2005, having four daughters in the Burleson School District, it was a cause dear to her. During the time that she served on the Foundation, she served as President and was awarded the Volunteer of the Year from the Chamber of Commerce in 2007. She also had the privilege to participate in the steering committee as BISD developed concepts and built the second High School in Burleson, Centennial High School. Her focus during her children’s early years was education, as she has served on PTO’s and Booster Clubs. 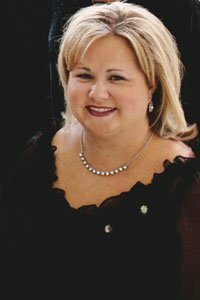 In 2006, she was introduced to the ATHENA Society of Burleson and began volunteering as they hosted their Mardi Gras Gala every year to raise funds for cancer care and education, two causes that she was passionate about. In 2011, she received the ATHENA award for her volunteer work throughout the community. Sharena now serves as Vice President of the ATHENA Society of Burleson for the past two years. Sharena and her husband, Matt, have four daughters: Their oldest daughter Maloree is a Senior at Texas Wesleyan University studying Psychology, pursuing a career as a Child Life Specialist. At TWU, Maloree is a philanthropist a heart as well and is serving as an Officer of Alpha XI Delta, founded and serves as the President of the TWU Campus Crew for Love Your Melon, a non-profit that raises funds to put beenies on pediatric cancer patients. Kallee is a Junior at Texas A & M Texarkana studying Psychology, playing Softball in the Universities inaugural season, and has aspirations to be a college softball coach. Regan is a Freshman at Oklahoma State University studying Physiology, as she is pursuing a career as a Physician Assistant and will be playing softball for OSU. Their youngest daughter, Mattee is a Junior at Centennial High School, is on the Varsity golf team and would like to play in college. Sharena and Matt spend the majority of their time participating in their daughter’s activities but enjoys travelling and spending time with their family and friends.